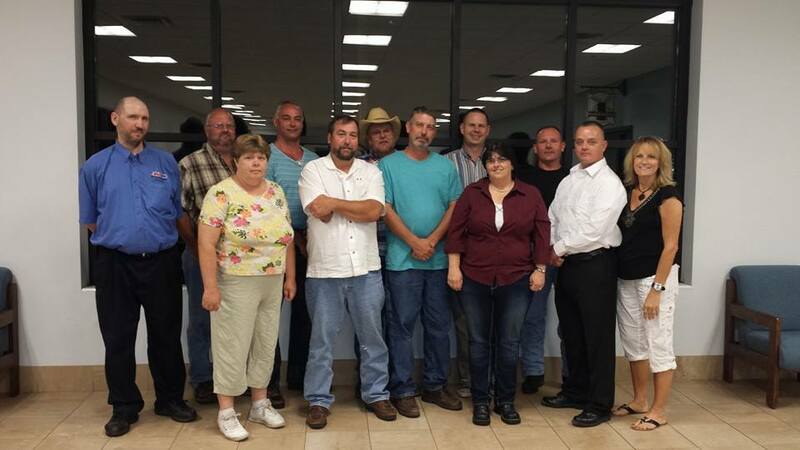 The classmates are L-R: 1st Row: Karen Miller Lemons, Chuck Wickline, Brad Wickline, Brenda Hensle Wiseman, Richard Smith, Tina Elmore Wickline. 2nd Row: Robert Raines, Mike McCormick, Sean Crosier, Rob McCormick, Ed Thomas, Kevin Weiss. 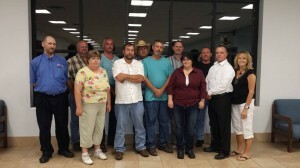 The Union High School Class of 1984 held its 30th class reunion on June 7, 2014, at the Dutch Haus Restaurant at the Greenbrier Valley Airport. A slide show of pictures — dating from high school and class reunions for the past 25 years, was created and played. The Class of 1984 has faithfully held a class reunion every five years since graduation due to the tremendous efforts of Tina (Elmore) Wickline and Karen (Miller) Lemons who spend countless hours in planning and organizing each reunion. We look forward to the 35th class reunion in 2019!